Earthquake hazard is defined as the determination of a ground motion from a large earthquake that can cause damage and loss in a certain place and within a certain time period. Damage due to an earthquake is an important element of the earthquake risk concept, which is defined as the probability of loss of property and life. There are many variables that constitute the earthquake hazard. The number and type of these variables may vary in different studies and for different purposes. In this study; geology of the city, lengths of active faults and the epicenter of the earthquake outer-center points of the earthquakes with a magnitude greater than 3 on between 1905 and 2016 were used. In this study; Open Source Code Geographic Information Systems (GIS) Software QGIS, Analytical Hierarchy Process (AHP) and Fuzzy Logic Method have been used to investigate the earthquake hazard of Düzce districts. These parameters were evaluated together to create thematic maps. Regions were determined in terms of earthquake hazard in the generated maps. As a result of the analysis by two methods, the districts showed similar results in terms of earthquake hazard. According to the three criteria evaluated, the central district is the most risky district with 39%. Yigilca, Gölyaka and Kaynaslı districts are medium risky districts. Cilimli, Gümüsova, Cumayeri and Akcakoca are the least risky districts. F. Özçep, M. Aşçı, N. Alpaslan, T. Yas, D. Gündoğdu, "Statik Ve Dinamik (Deprem) Etkiler Altında Zemin Davranışı", Deprem Sempozyumu, Kocaeli, 2005. ISNAD SABAH, Levent . "Earthquake Hazard Analysis for Districts of Düzce via AHP and Fuzzy Logic Methods". 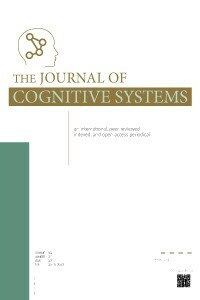 The Journal of Cognitive Systems 2 / 1 (June 2017): 1-5.